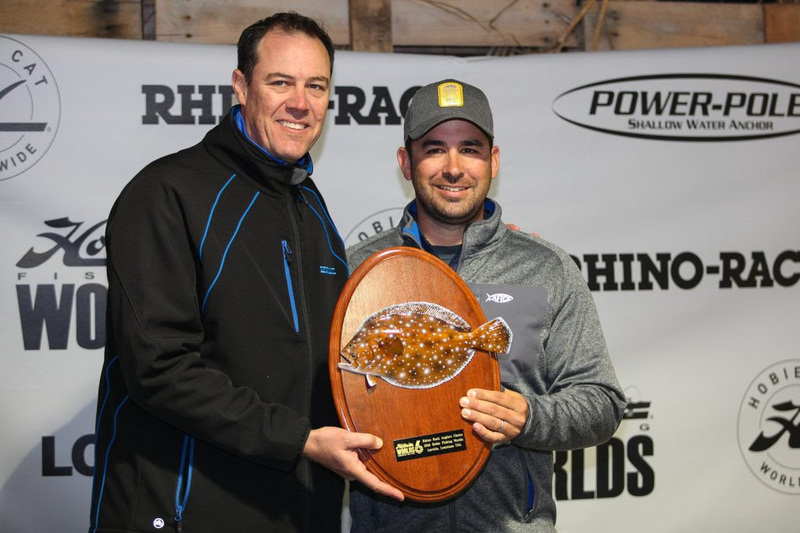 Leeville, Louisiana, Saturday December 11, 2016– Hobie Fishing Worlds 6 presented by Rhino-Rack came to a close today as 49 of the world’s best kayak anglers battled it out for a place on the top ten and, for a handful, a place on the podium. After three days of intense competition, Steve Lessard from the USA has claimed the top prize with Richard Somerton from Australia picking up second and Matthew Vann from the USA claiming third. This is Lessard’s second World Championship victory, having won the title in 2014 in Holland. 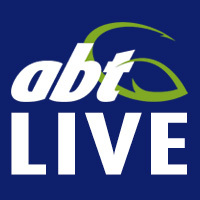 For this his third Worlds, he faced intense competition as well as his fair share of hometown expectations to live up to as he entered day three with a 10″ lead on nearest competitor Richard Somerton and 12″ on fellow American Matthew Vann. While he was starting the day with a solid lead, the Leeville waterway is the kind of fishery that can readily produce a Bull Red that could have potentially rubbed out any kind of lead across the top 10. Weather conditions on day three were a great improvement over the first two days of competition with a return to the kind of conditions experienced during the Pre Fish Sessions. Clear skies, temperatures around 60ºF (16ºC) and lighter winds of 10mph from the north made for considerably easier start to the day. However, the cold front that had passed through during the previous two days had dropped the water temperature considerably meaning that the anglers would still be faced with challenging conditions trying to attract the bite of the target species that had seemed to change feeding patterns. 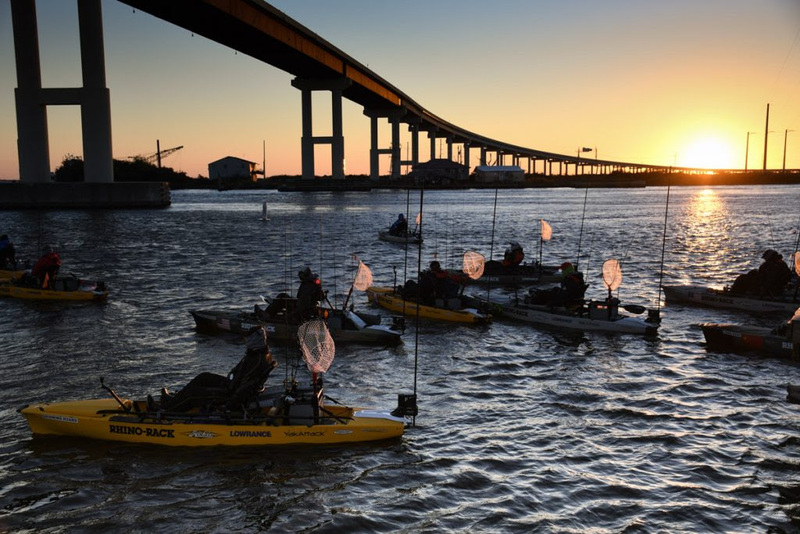 Lessard went in to the final day of competition with the pressure of having a target on his back as well as the additional pressure of being a local, Louisiana, kayak fisherman. In the end though it was local knowledge that played a hand in his result. 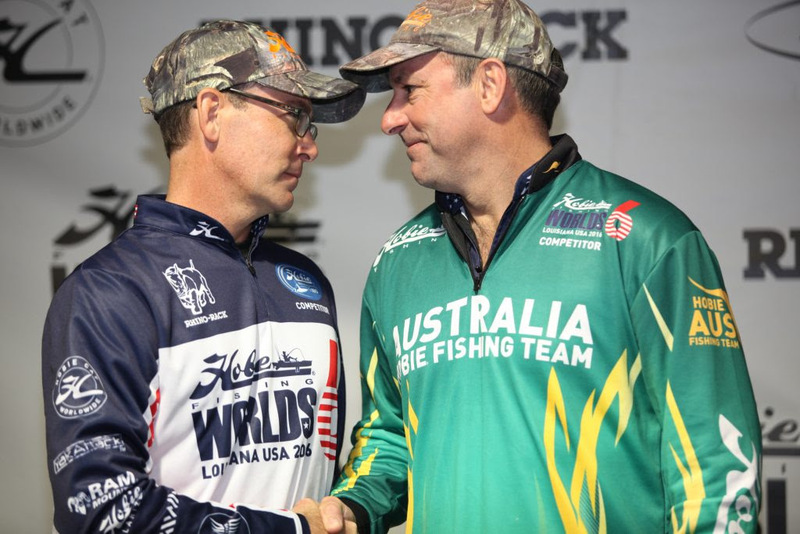 Somerton, the 2013 World Champion and current Hobie Bream Series Australian Champion set out with a plan of attack and a very clear goal. I knew I had my work cut out for me with 10″ to catch up. “I went out with, the Birthday Boy, Mitch King and Aaron Williams and we decided to chase trout first up but due to the cold they were shut down so we went looking for Redfish back at some spots we had worked previously. I picked up a 27” Redfish and then I left the guys to go in search of trout. I ran in to a bunch of guys later and they were all catching trout, Chris landed one, Mods pulled one, so many people were getting trout around me and I was getting nothing… In the end the clock was running down and I said to Mods that this was my last drift and as Ike says ‘Never Give Up’ on my last cast, pulled my trout, measured it and took off home with a few minutes to spare. At the final awards presentation anglers were treated to their last taste of Cajun cooking for the tournament before the awards proceedings got under way. The evenings awards started with the Rhino-Rack, Angler’s Choice Award won by Brendan Bayard from the USA. First awarded to Englishman Ian (Dizzy) Harris in Holland in 2014 and then to Guy Struthers from Australia in China in 2015 the Anglers choice award is run by a ballot of the anglers choosing who they believe best represents the sportsmanship and good conduct of the Hobie Fishing Worlds. 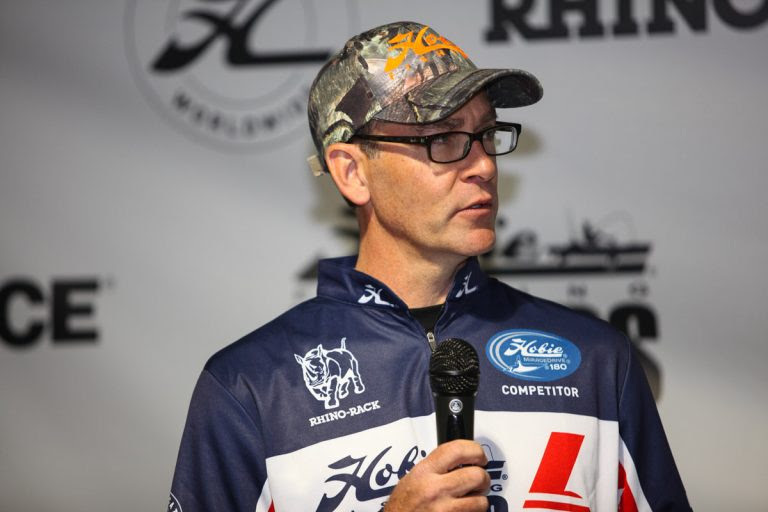 Brendan will receive a Wild Card entry, accommodation and travel expenses into Hobie Fishing Worlds 7. Bayard was overwhelmed and honoured by the award but went on to thank Rhino-Rack and his fellow anglers for the prestigious Award. Our new World Champion, Lessard also won the Lure Fans leader of the day award for the second day running and will receive a customised tackle tray containing entire collection of Lure Fans lures in addition to the prestige of being crowned Hobie Fishing World Champion. Once again, we would like to congratulate, Steve Lessard, Richard Somerton and Matthew Vann for their places on the podium but ultimately we would like to thank and congratulate everyone from around the world who qualified to be here in Leeville, USA and make this such a memorable event. It is the unique coming together of cultures in a truly global competition that make these events so special. The top ten on the Lowrance Leader Board at the end of Hobie Fishing Worlds 6 is as follows.